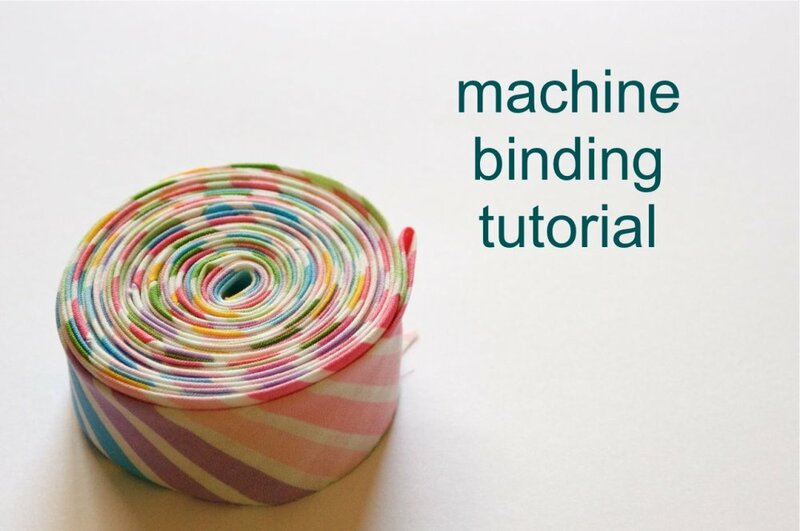 "I have had soooo many questions about machine binding lately, so I will share my method. I am not a pro at this, but I have figured out what works best for me. "Prepare your binding as you normally would. I use this method for continuous crossgrain binding, and this method (basically) for bias binding. (p.s.--I never roll my binding up like the above image except when I need to take a picture of it.)." 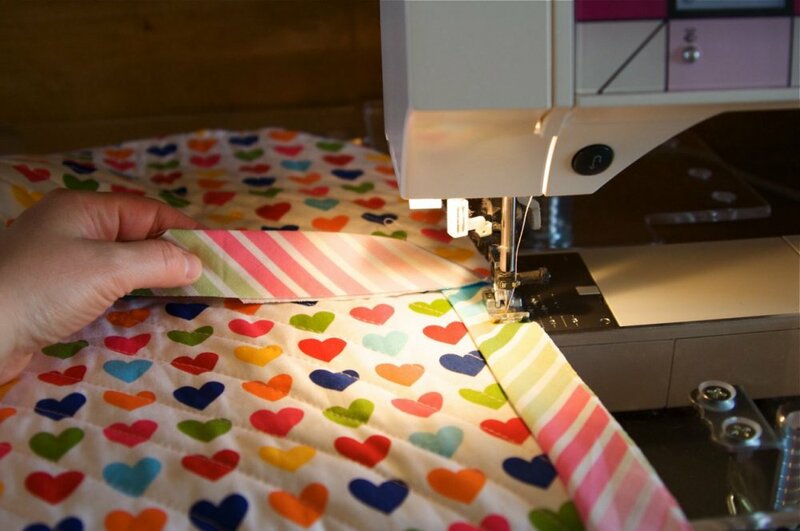 Take a look at Nettie's website, A Quilt Is Nice where you will find more quilting tutorials, pictures of her finished quilts, and also be sure to check out her Etsy shop!